What you don’t know can’t hurt you, right? That may be true somewhere, but when it comes to home water leaks, nothing could be further from the truth. To be a safe, prepared, and empowered homeowner, you need knowledge. To help educate you, we’ve put together a list of the top five little-known facts about home water leaks. These can serve as a starting point to protect you and your home from the lesser-known dangers of this too-common problem. This really cannot be stressed enough: Just because you don’t see a problem doesn’t mean there isn’t one. Your house is full of pipes traveling in every direction, and one hidden deep inside of an interior wall can leak or even burst. The result is often a creeping problem which you don’t notice until it’s already caused significant damage and mold. So what should you do? One solution is to perform an occasional test, say once a month. Simply go outside and check your water meter, then wait for two hours. During those two hours, make sure nothing in your home is using any water. Then check your meter again. If you’re using water, it means there’s a leak somewhere. Still, the best long-term solution is to make sure you’ve got quality pipes that don’t need to be upgraded (pipes usually last for decades, so this is mostly a concern in older homes). Of course, water leaks don’t just happen when pipes fail. A large portion of water leaks originate in appliances themselves, or the point where those appliances connect with your home’s plumbing. That means one of the most effective water leak prevention methods is to check your appliances. That can begin with buying the right ones. 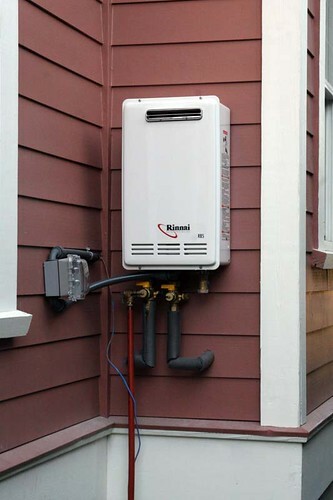 For example, a tankless water heater eliminates the risk of a water heater leak leading to a flooded basement and replacing that 10 year old washing machine will reduce the risk of a broken gasket leading to a bubble bath in your laundry room. But besides that, it’s worth making sure that your other appliances which use water are installed by professionals. Sure, hooking up your washing machine or dishwasher yourself might save you a bit of money, but one blown gasket and those savings will vanish. It’s ultimately best to leave it to the professionals, because even a small leak can hurt. When you have even a small leak, the costs can really add up. The Environmental Protection Agency estimates that 10% of homes have leaks that waste 90 gallons a day. Fixing these leaks can lead to a 10% reduction of water bills. Of course, that’s only discussing the water wasted. Beyond those costs, there’s the potential for mold growth, which will require a costly crew to come in and clean (costing between $500 and $4,000), there’s the damage to drywall and floorboards, and then there’s the huge cost of an emergency like a flooded basement (costing between $500 and $10,000). These kinds of costs can be disastrous for most families, so what should you do to protect yourself? Well, that starts with something you should already have: homeowner’s insurance. This is critical for everyone with homeowner’s insurance to know. True, nearly all homeowners insurance policies cover home water damage. But there are exceptions you should be familiar with. The first and most important is that homeowner’s insurance will generally not cover water damage that’s the result of unresolved maintenance issues. That means that if you neglect to properly maintain your pipes or fix a minor leak when it first arises, you could end up paying thousands for the bigger damage that happens down the road. It’s also worth noting that your homeowner’s insurance generally won’t cover replacing an appliance which is damaged as a result of a water leak. These policies and the other issues we’ve mentioned are all the more reason to consider a leak protection system. If all this information has you worried sick, we’ve got some good news. A smart home water leak detection system can be installed to immediately detect a water leak and shut off your main water source within seconds, in addition to alerting you via smartphone. It’s a single investment which can pay itself off both in terms of preventing major water damage and in simple peace of mind. So now that you’re up to speed on the most important home water leak dangers, why not try out the best smart home water leak detection system out there?